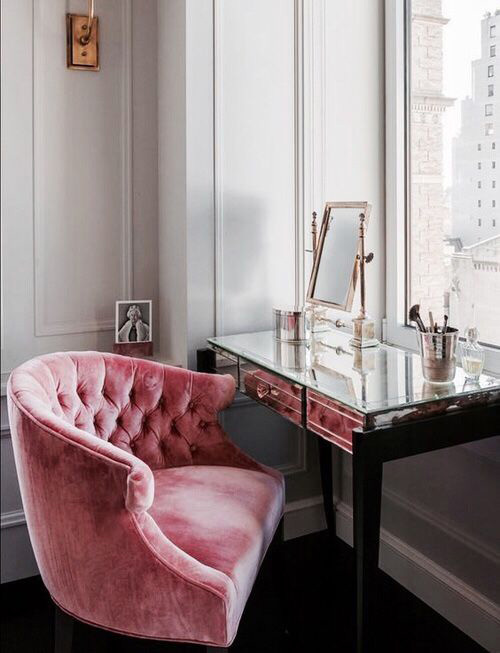 One of the most aesthetic parts of bedrooms is the makeup tables. Women don’t go to the makeup table every day to make a new beginning and start the day well. After waking up in the morning and having breakfast, all women sit in the makeup chair to prepare. 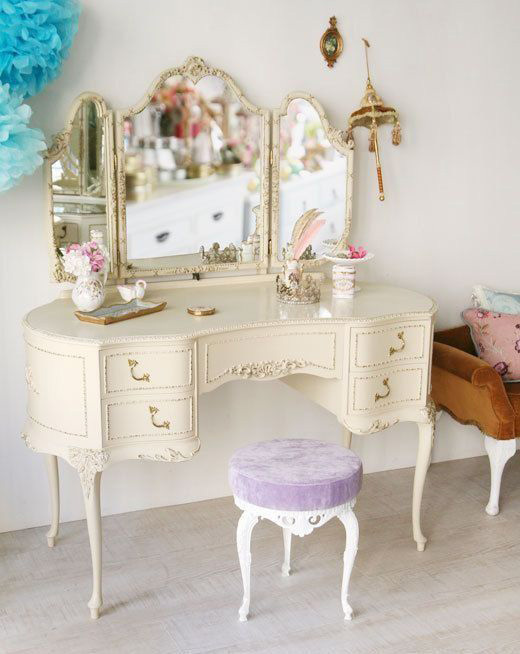 Therefore, the makeup table decoration for the bedroom is also gaining importance. 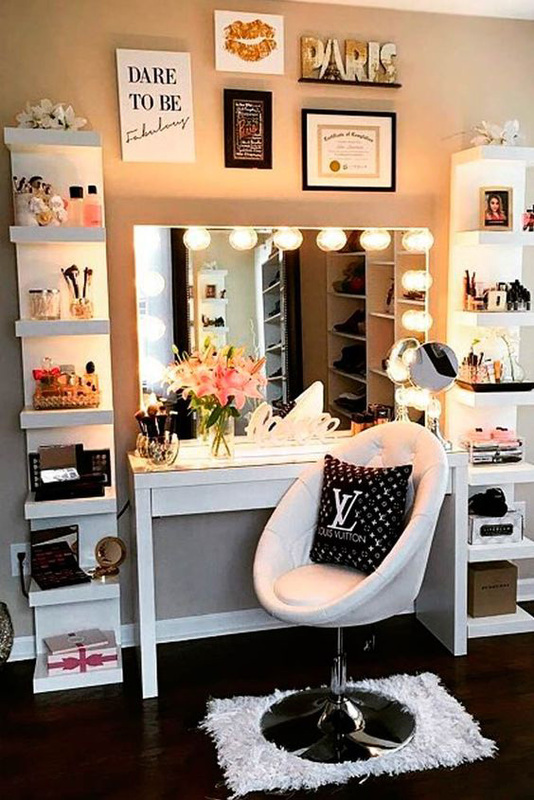 There are many different style options for decorative makeup tables that are in the interests of women who love to spend time with themselves. 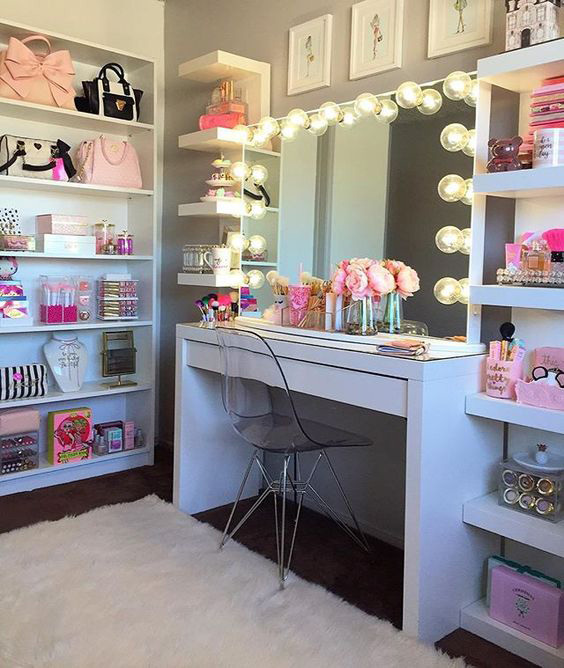 You can create a wonderful makeup table and bedroom decoration by completing the puff, lampshade and flowers as well. We can recommend the classic, white tables for those who love romantic decoration styles. 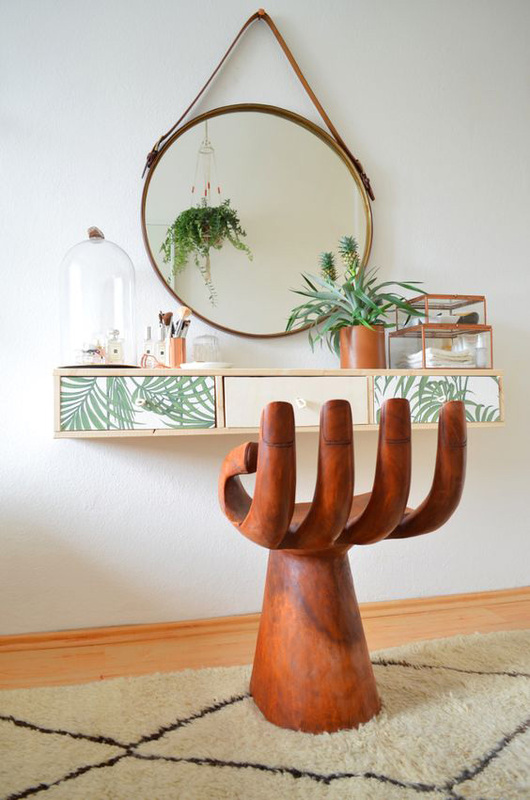 The stylish chairs that you will use with these tables, which also provide retro and vintage air, complement your decoration. 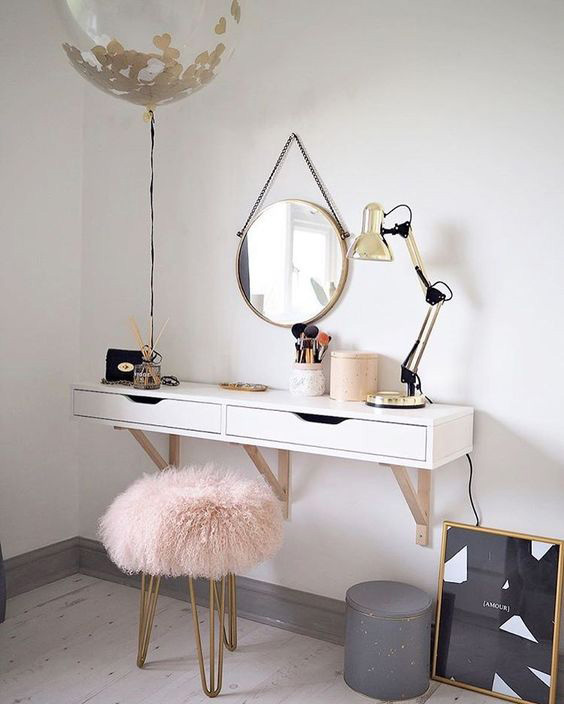 For those looking for a modern makeup table, we can say that dark, wide mirrored models will be a good choice. 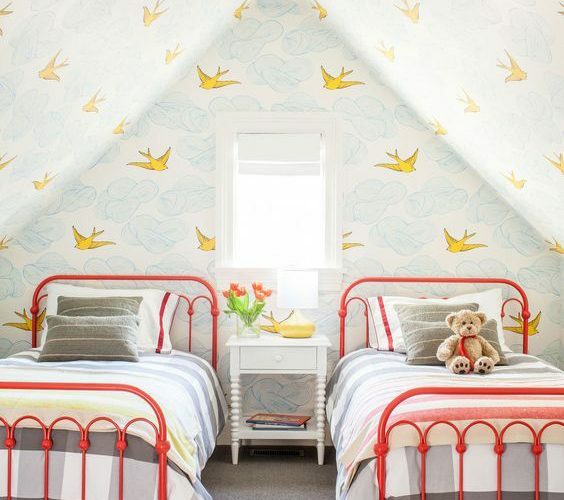 With these tables, you can avoid clutter using lampshade, frame and table top hangers. 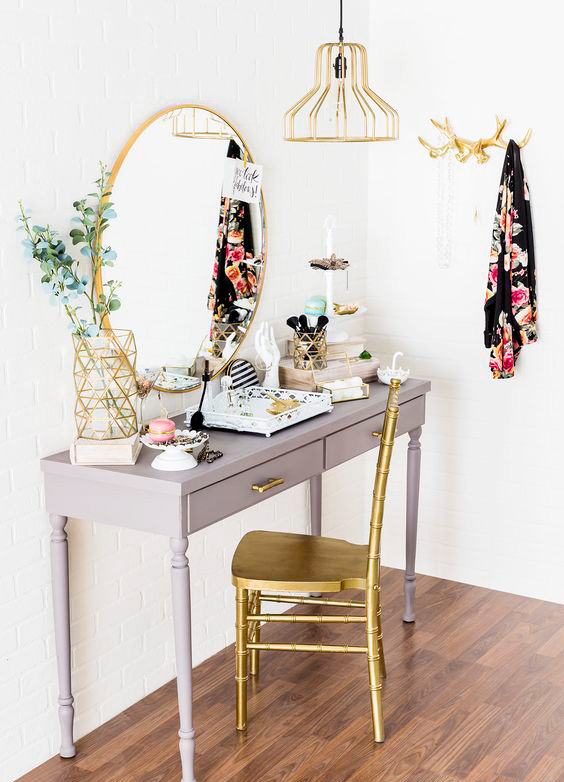 If you want a more regular table, you should look at the makeup table models with drawers. 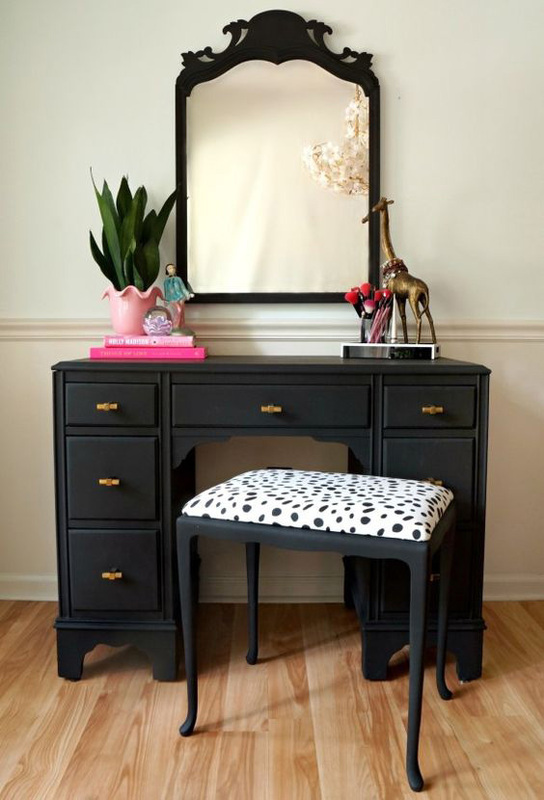 With drawer tables, you can devote your makeup to groups and make a comfortable use. 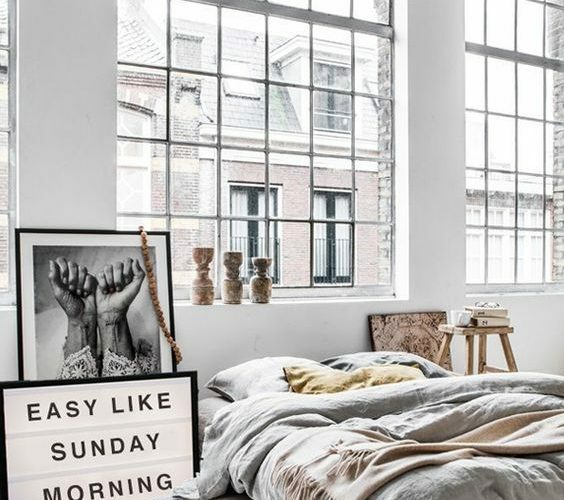 In the bedrooms, usually white or cream colored makeup tables were used. However, in recent years, the vibrant and bright colors we have meet often attract attention. 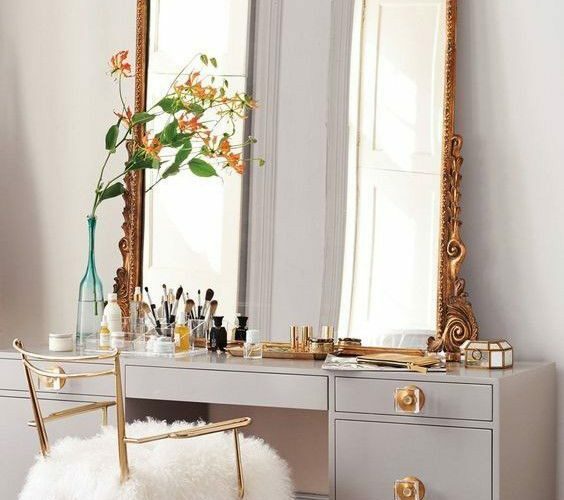 You can move to your room by choosing colors like yellow, red, blue, orange, green on your makeup table that energize the environment. 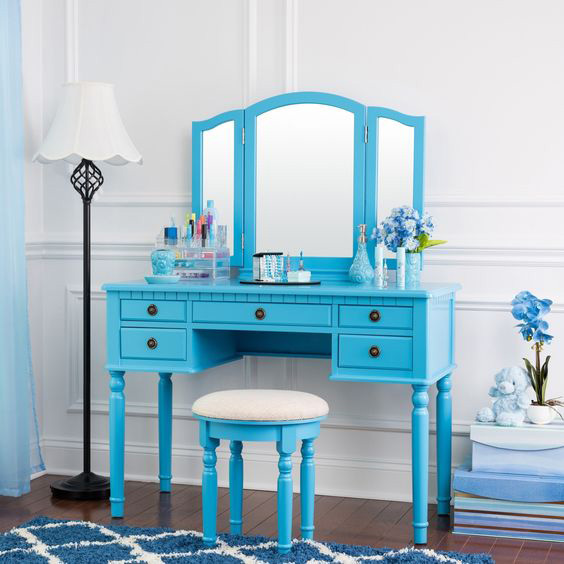 A very delicate subject for women, the makeup table should be compatible with the overall style of the bedroom. 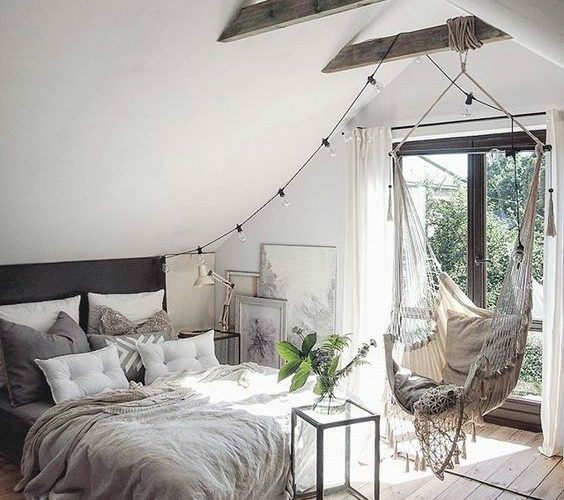 It is inevitable that a table that is not compatible with the bedroom will disrupt the overall atmosphere. 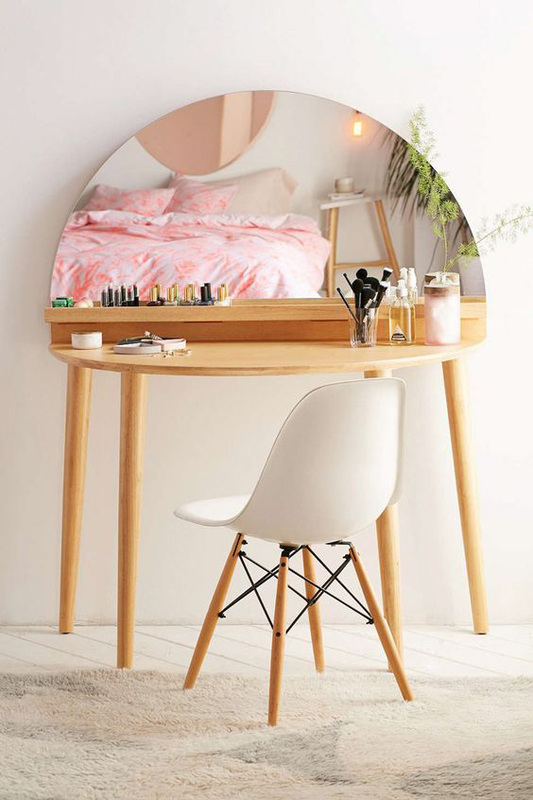 You can also choose a makeup table in the same style as your bedroom, which makes it more enjoyable to use. 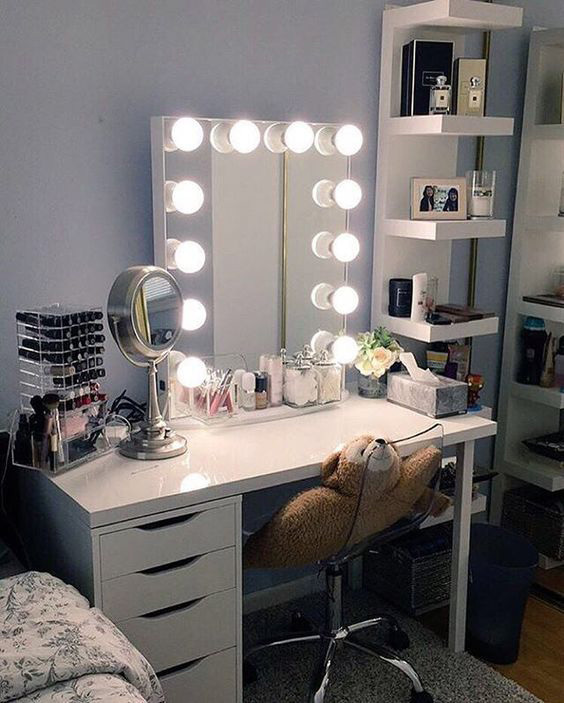 You don’t need to buy your makeup table from ready made products. You can use it by changing existing things in the house or sharing your desk with your books and makeup materials.